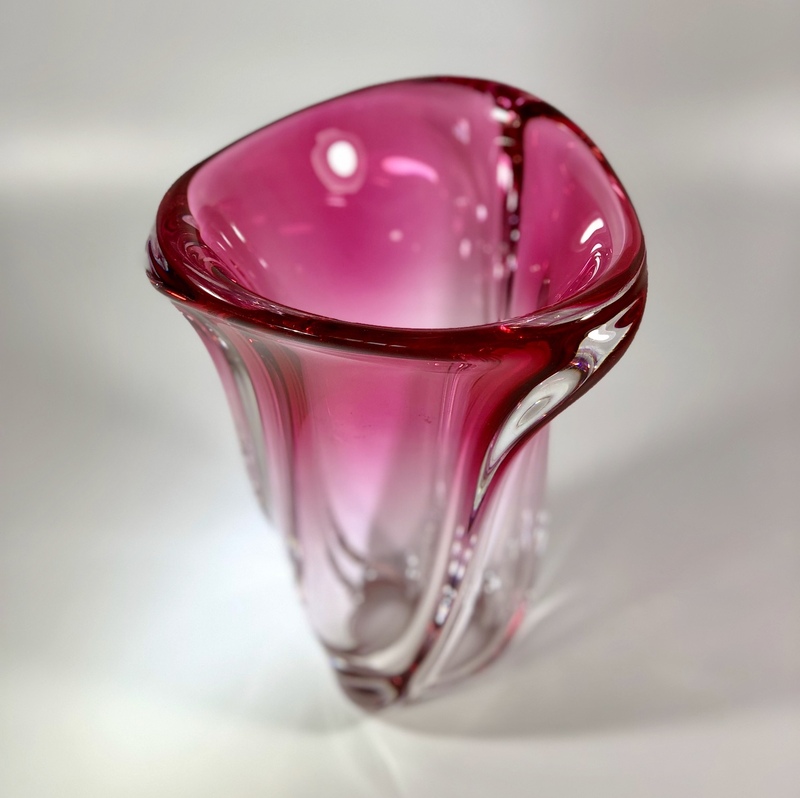 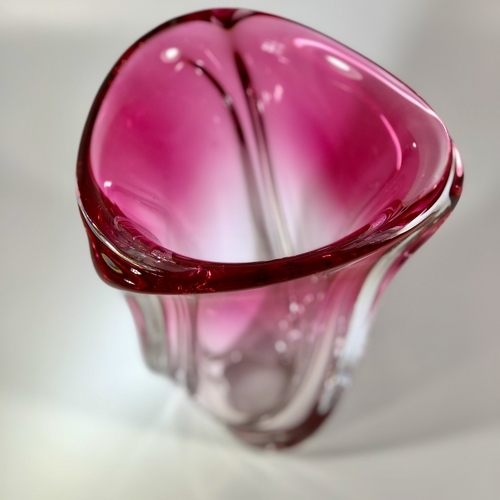 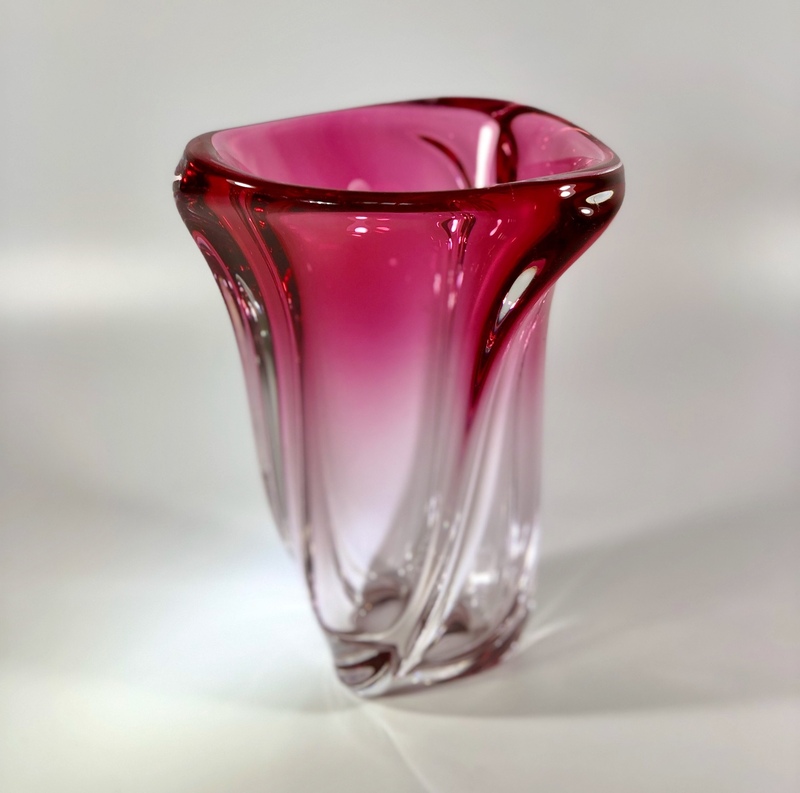 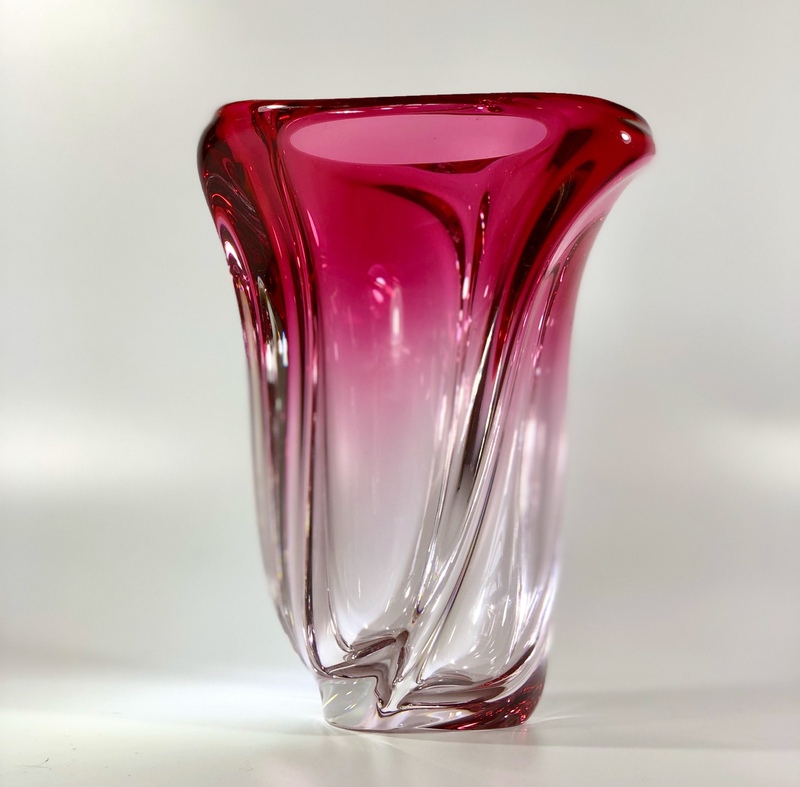 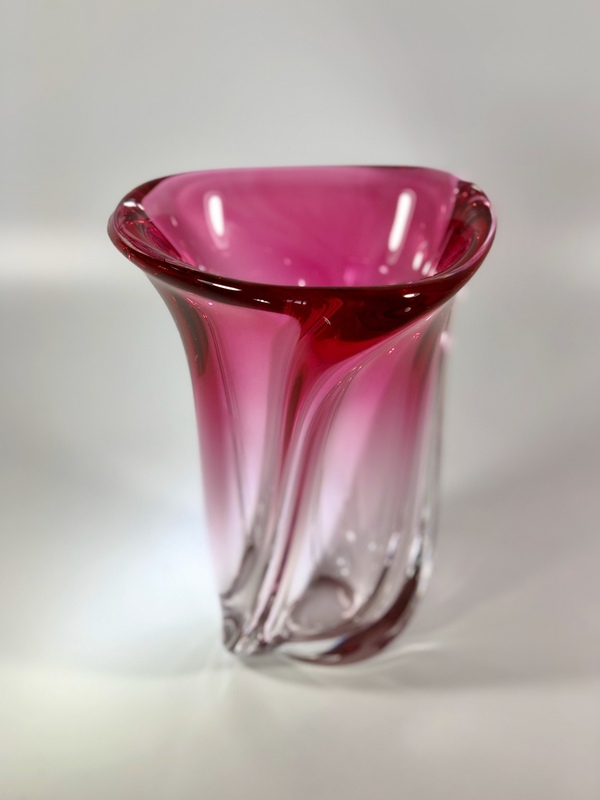 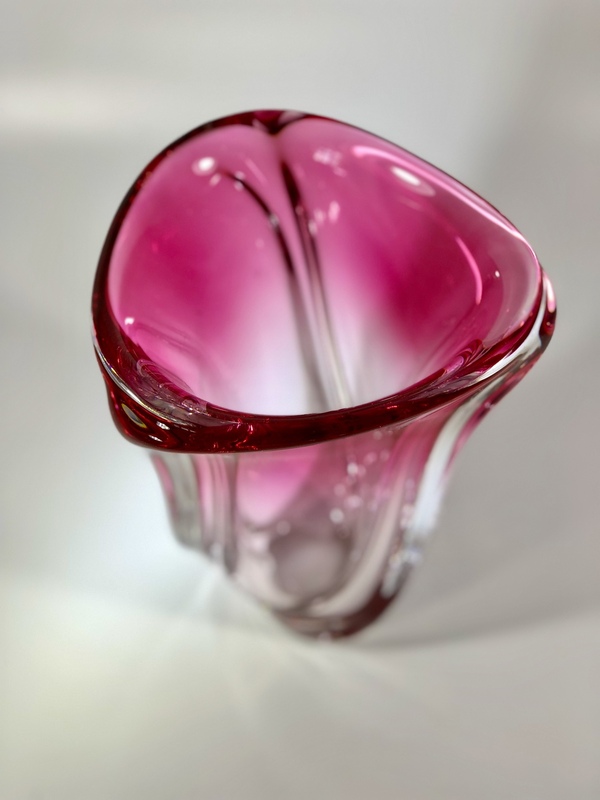 An impressive raspberry pink crystal vase by Guido Bon for Val Saint Lambert, Circa 1950s. 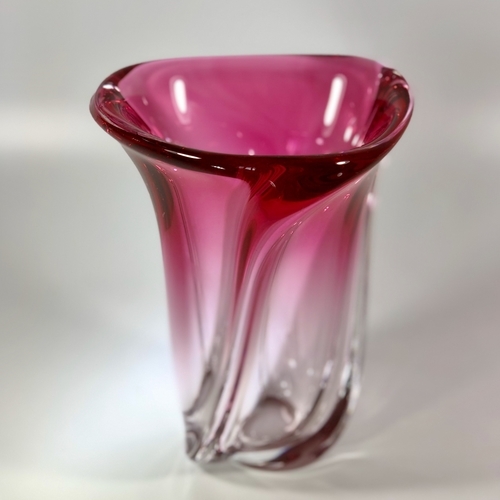 This gently asymmetric vase shifts is different from every angle. A highly decorative piece.